What do you use to treat for ticks and mosquitoes? We use proprietary blends for both the Organic or the Synthetic options. We implement an integrated pest management system which controls pests by removing the three things they need to survive - food, water and shelter. An educated homeowner is our best customer and we will review and make suggestions to you to help control measures to ensure the most effective control. The organic option will knock out and continue to repel mosquitoes and ticks...the products repel and control, they are not designed to kill. With the synthetic option, existing mosquitoes and ticks are killed by the spray immediately and the remaining residue on plant foliage will kill them when they come into contact with the sprayed leaves. Will all the ticks and mosquitoes be gone? Although no service can guarantee 100% protection form every mosquito or tick, you will find that the amount of these pesky bugs are greatly reduced. As you can imagine, bugs from a neighboring property could enter your backyard and bite you before feeding on treated foliage. But don't fret, in most instances you should expect 90% control, but if you experience breakthrough with the 1st week, we will return to retreat at no additional charge. How often should my property be treated? For the the organic option, we treat approximately every 3 weeks and for the synthetic option, we treat approximately every 4 weeks. Although we need your help in part of an ipm (integrated pest management) solution to reduce potential habitats and breeding grounds, you cannot purchase our proprietary blend of products to apply yourself. Do I need to be home? Will I know you are coming? No, you do not need to be home. We will alert you via text or phone (your choice) 24 hours in advance of a scheduled treatment. You may reschedule at that time if inconvenient. What does it mean to "treat" my property? What will you be doing? Effective control is based on lot size, plus also the density of landscaping (bushes, shrubs, mulch beds, etc), which need treatment. Using a backpack power mist blower designed for accurate and precise application, our fully licensed and trained technicians will treat all vegetation, including but not limited to trees, shrubbery and mulched beds from ground level up to a height of 10 feet. We will be sure to emphasize treating the underside of leaves, foliage and brush where ticks amd mosquitoes live and hide. This also includes a thorough spraying of the perimeter of your yard to create a barrier effect. 30 minutes after spraying, your yard is ready for all your family members - 2 and 4 legged - to come out and enjoy! Additionally, we will identify and treat other common areas typically used as mosquito and tick resting sites, including under decks, rock walls, leaf piles, near drainage spouts and other shady, moist areas. We will look for active larvae populations and treat them accordingly. After inspection and application, our technician will identify any potential breeding grounds in or around your yard and make their recommendations on a post visit email. Regarding the organic option, we use a proprietary blend (tea) with Food Grade Cedar Oil and peppermint as the primary ingredients. Many holistic veterinarians recommend cedarwood, lemongrass, peppermint ad rosemary instead of commercial flea dips/collars. Regarding the synthetic option, it is a synthetic form of pyrethrin called a pyrethroid. This is an organic compound similar to the natural pyrethrins produced by the flowers of chrysanthemums. It is approved by the World Health Organization (WHO) and utilizes the same primary ingredient that is in lice shampoo and flea collars. We do recommend staying out of the treated area until it fully dries, which is usually about 30 minutes. Can I get a one-time treatment for a special event? Yes! We have special event spraying available and pricing as well. We treat 5-7 days prior to the event and then will return 24 hours prior to the event to inspect for pests and retreat to reinforce the barrier. Where did we get all the information for the website - is it reliable? Well, like I said, I was on a mission. 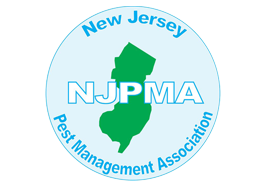 My research sources were primarily the CDC, The NJ Department of Health on Communicable Disease Service, The American Mosquito Control Association, PestWorld.org and many conversations/discussions with a board member of the NJ Pest Management Association. However, information is always changing and we will do our best to keep this website accurate. Please do not rely solely on our information especially when it comes to your health. Please consult your healthcare provider if you have any specific bite concerns.